A Remix is when a Scratcher makes a copy of someone else’s project and modifies it to add their own ideas (for example, by changing scripts or costumes), the resulting project is called a "remix." 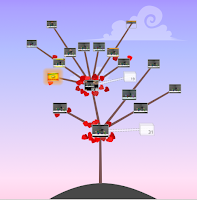 Every project shared to the Scratch website can be remixed.The Scratch Team use the word remix, because that is what musical artists call changing a song by using the same tune but changing the style. It is also related to the word "Scratch," as in "scratching" like a DJ does with records, also related to music. Of course! Not only is OK but it is encouraged in the Scratch community. 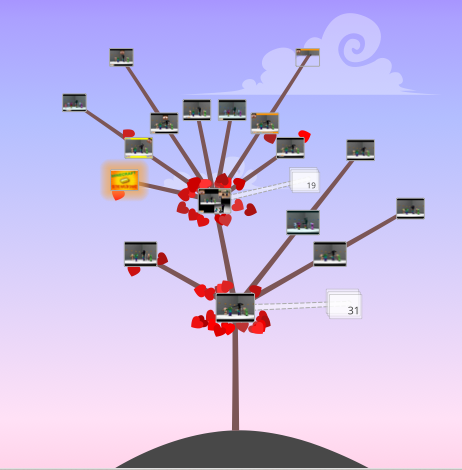 (In fact, much of what is included in this website, Mrs. Coleman, either remixed or collaborated with other teachers to create--see the side bar for attributions) For projects SCRATCH has made it easy by including a REMIX TREE and automatically place links to original project on Remix's project page. If you use others sprites, scripts, backdrops, and/or music make sure you give credit to original creator. Project pages provides a space for you to do that. Remixing interesting projects is a great way to learn to program, and leads to cool new ideas. That’s why the source code is visible for every project shared to the Scratch website. With all that said, I know you are itching to get scratching! 2. Go to the STARTER PROJECTS STUDIO. 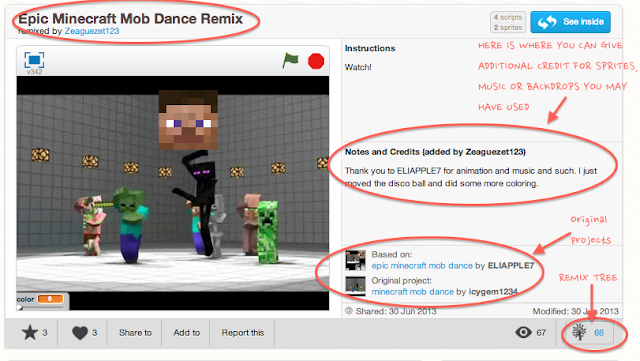 The Scratch Team made these starter projects just to be REMIXED. Explore the projects and find one that you would like to make changes to. It could be the backdrop, the music, the sprites and/or the scripts. Your the boss, you decide! 3. Now take a few minutes to reflect and make an entry HERE on your thoughts? How did it feel to Remix? What did you find easy about this activity? What did you find hard?